Watch and interact with the EDpuzzle activity. Click on the image below to upload this PDF to your iPad. 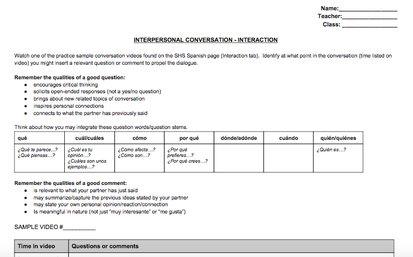 Choose any of the sample conversations below to fill out the form.